Overview & specs of 16cm National Geographic Classic Mini Globe by Argos. 16 cm National Geographic non illuminated political and physical globe. National geographic cartography. Text in english. Attractive black base. Attractive black swivel arc. Cartography shows political and physical features. Size H22, W16cm. (not included) plus (not included). For ages 8 years and over. Manufacturers 2 year parts guarantee. WARNING(S): Not suitable for children under 3 years old. Only to be used in water where the child is within its depth and under adult supervision. This product contains no. 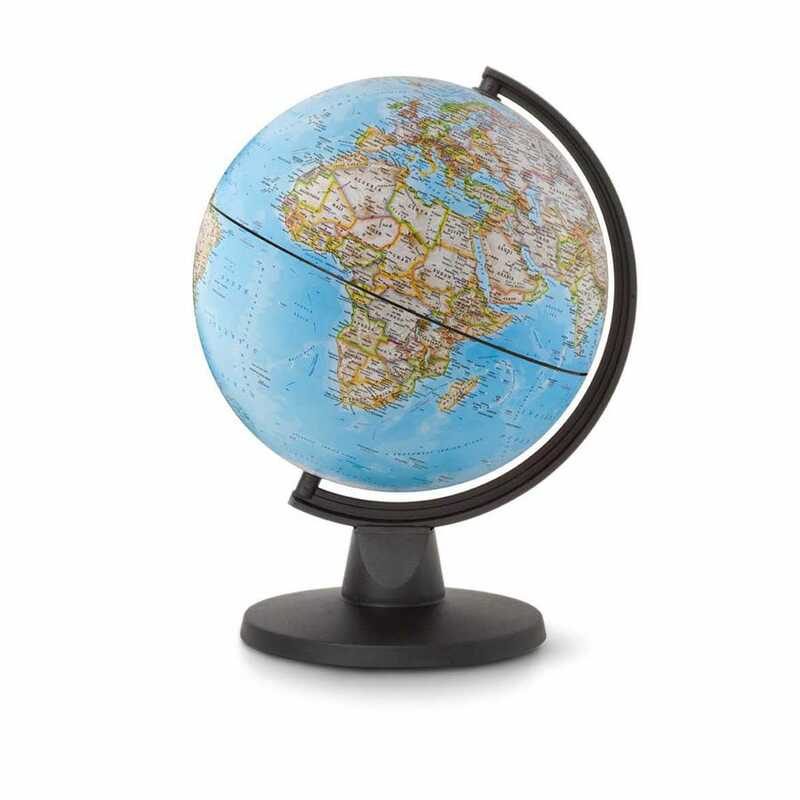 We are comparing prices for 16cm National Geographic Classic Mini Globe in new condition sold by Argos, Ryman.